We want to see you succeed in making the best chatbot surveys possible. Which is why we added over 22 new chatbot survey tutorial videos to our website. 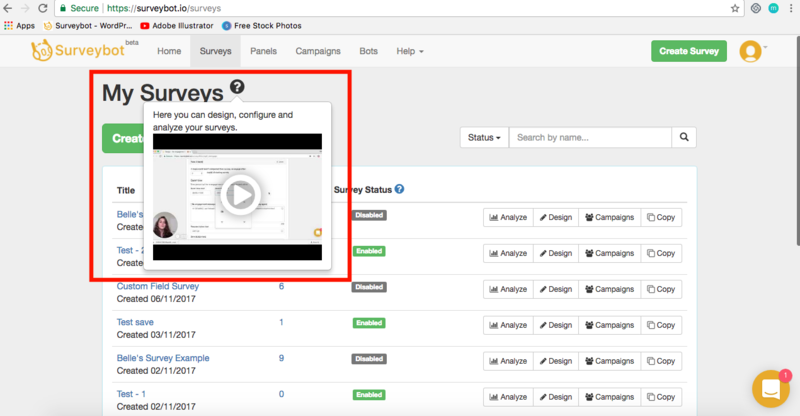 These chatbot survey tutorial videos provide step-by-step section overviews or instructions for how to make the most out of all the features on Surveybot. 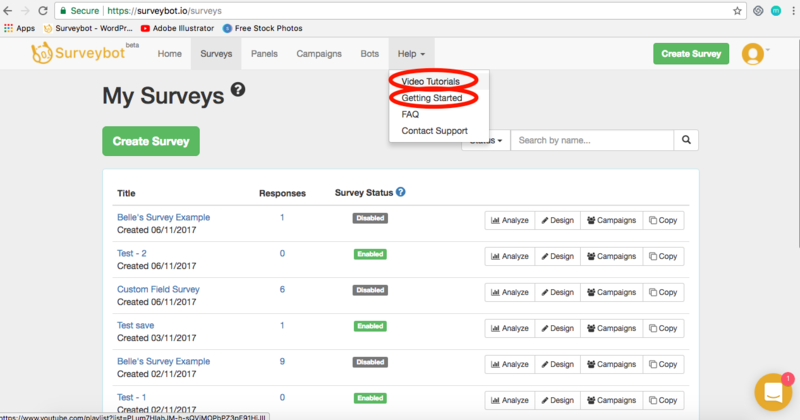 So whether you are a new to chatbot surveys, or never quite grasped how to utilise a certain function on Surveybot, you now have more helpful resources than ever! What are you waiting for? Grab your popcorn and get started! Want to start watching the chatbot survey tutorial videos now? Choose a playlist below. 1. Hover over the “?” icon located next to the section title and a relevant Section Overview video will automatically appear. 2. Click on the “Help” tab and then select either the “Video Tutorials” subtab, which will bring you to the Youtube playlist, or the “Getting Started” subtab, that will link to step by step articles with videos and text. We hope you enjoy the new chatbot survey tutorial videos! Let us know if you would like to see a particular topic covered in our tutorial videos!